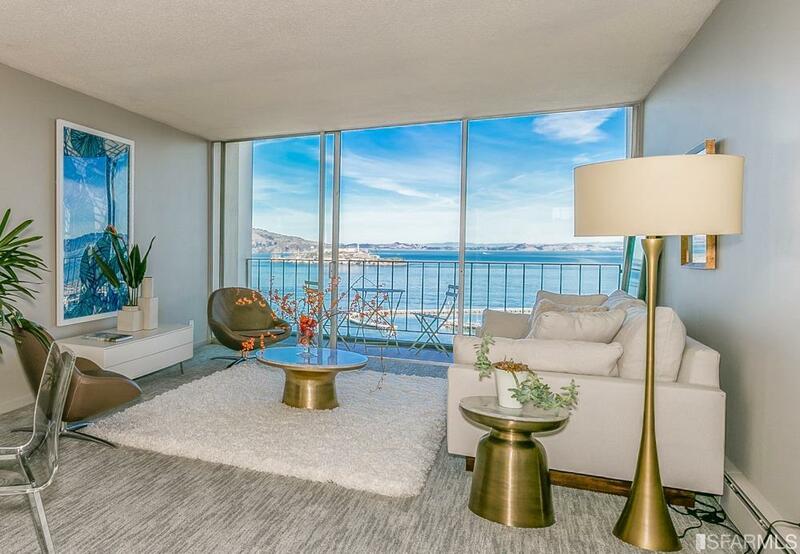 Spectacular views of the Golden Gate, Alcatraz and Marin Headlands await you in his freshly updated two bedroom, one bath 14th floor co-op. 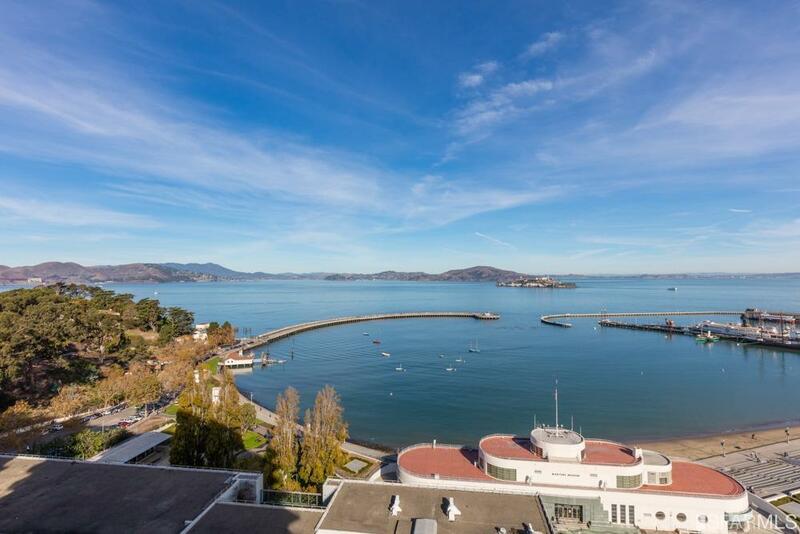 This is your front row seat to vibrant maritime activity and mesmerizing bay vistas. 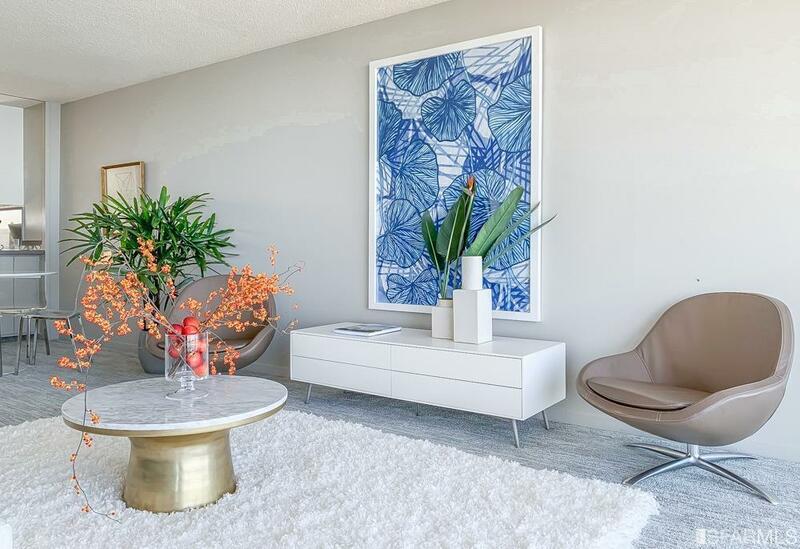 Amenities in this unique mid-century building include one car parking and extra storage, doorman/security service, club room and Japanese garden with barbecue area. 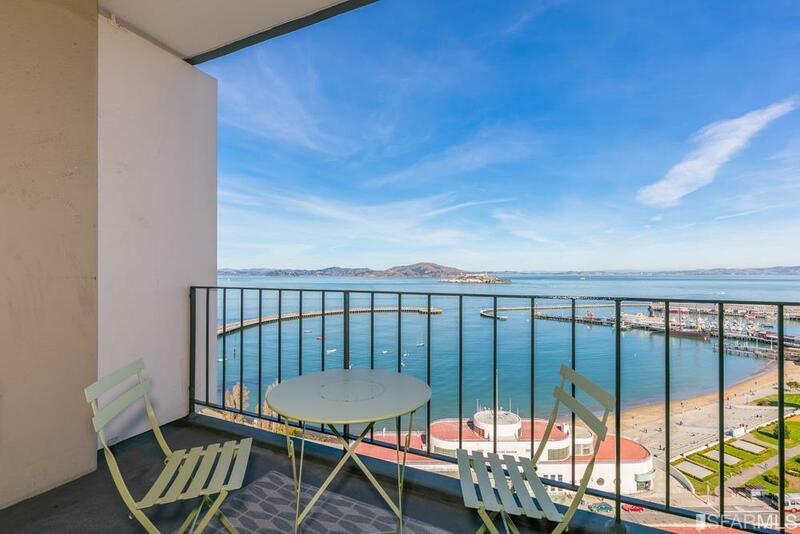 The prime location is next to Ghirardelli Square and Aquatic Park and is walking distance to the shopping and fine dining on Chestnut, Polk and Union Streets as well as North Beach. Recent updates include new quartz bath & kitchen countertops, new stainless appliances, fresh paint and new floor coverings throughout. Listing provided courtesy of Elizabeth Kraus of Coldwell Banker.